The pavilion is closed from mid-October 2018 until about mid-June 2019. The “Virgin Forest Pavilion” is situated on the road to Pragelpass just across the road from the inn Unter Roggenloch. The exhibition offers first steps into the subject and is the starting point for the thematic path “Virgin Forest Track”. 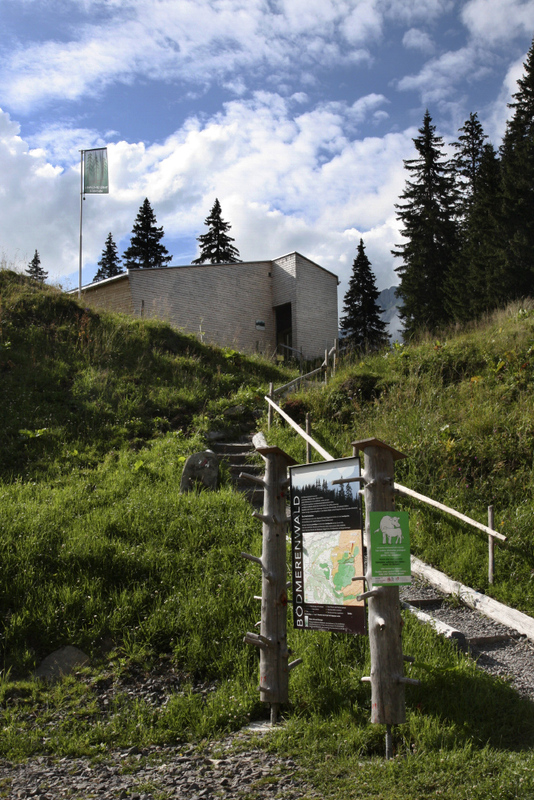 The “Virgin Forest Pavilion” and the “Virgin Forest Track” were established in July 2015 and financed by the ACCENTUS foundation (Liselotte und Hans Schellenberg-Schwegler trust), Zurich and the lottery trust Schwyz. 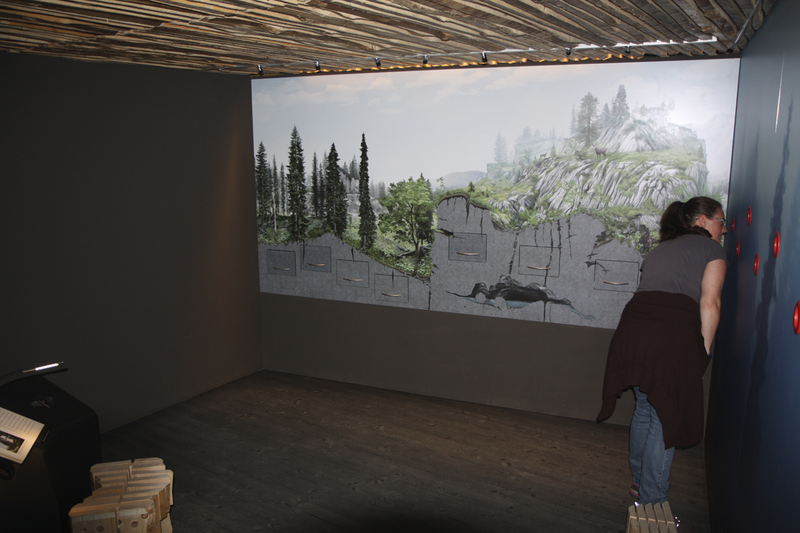 Center piece of the exhibition is a 3 m wide 1.5 m tall hidden object picture with drawers and visuals. Additionally, a wood core of the oldest spruce tree in Europe is on display. Pavilion and thematic path can be reached either from Muotathal or from Glarus using the road over Pragelpass. This is a narrow, steep, single track mountain road, which is only negotiable during the summer months. The Pragelpass is closed on weekends (Saturdays and Sundays). Pavilion and thematic path can then only be accessed from Muotathal by car. For shuttle transportation to the pavilion, please contact the Pragel-Garage. The forest reserve Bödmeren can not be reached by public transport.